Following a similar move by Poland, the central bank in Budapest now holds 31.5 tons of the metal, taking the share among total reserves to 4.4 percent, in line with the average in the region, according to a statement published on its website Tuesday. Governor Gyorgy Matolcsy touted the move as a way to improve the security of the nation’s wealth and a nod to Hungary’s heritage as one of the world’s largest gold producers in the Middle Ages. Marton Nagy, Matolcsy’s deputy, declined to say if the bank’s overall reserves had grown. Hungary is the latest European Union nation to make a rare charge into gold. The purchase takes its holdings to the highest in almost three decades and comes after Poland added about nine tons in July and August. 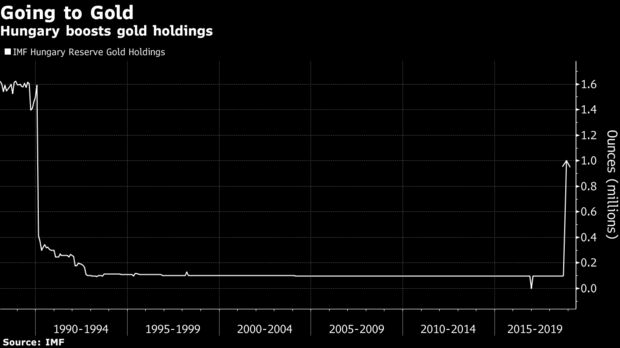 While global central bank bullion reserves have expanded over the past 10 years, the purchases have mostly been driven by countries including Russia, Kazakhstan and China. While it’s a large purchase for Hungary, the country is still a relatively small bullion holder, ranking outside the top 50 globally, according to World Gold Council data. The U.S. for example, owns about 8,133 tons and Romania, another eastern European state, holds about 104 tons. Russia has been adding about 20 tons on average each month this year. 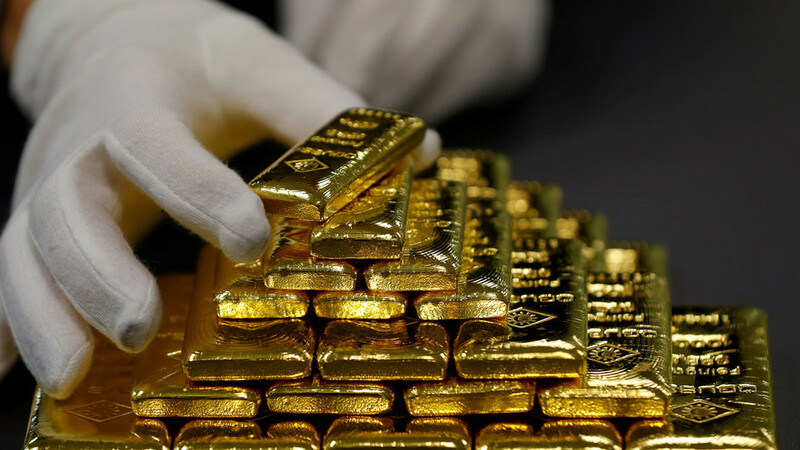 Poland’s central bank declined to comment on its latest purchases, but economists said gold’s drop to the lowest price in more than a year had helped make the metal more attractive. Since touching that low in mid-August, prices have risen about 6 percent to $1,228 an ounce in London. The move into gold follows the Hungarian monetary authority’s decision to relocate reserves to within the country in March.